For Managerial Level: Minimum 5 years experience in micro finance. 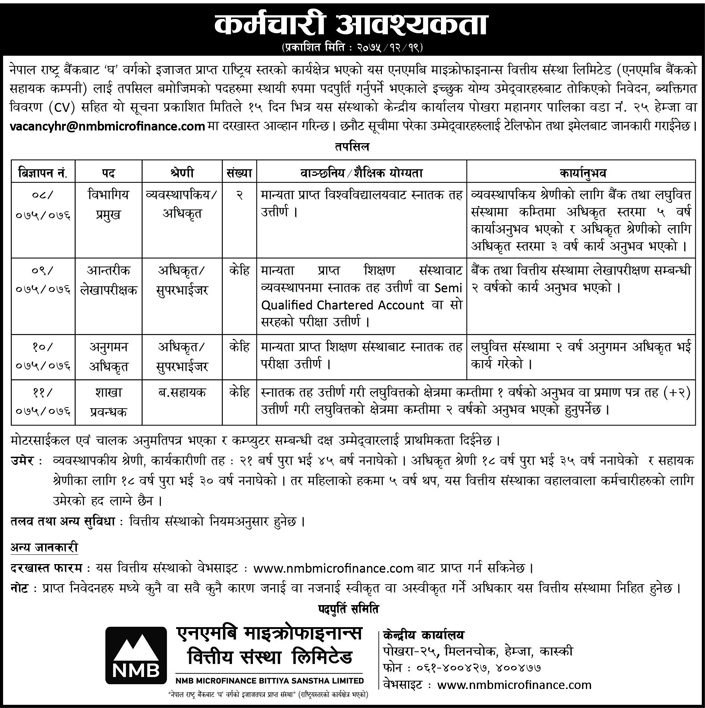 Interested and qualified candidates are requested to send their application and CV to vacancyhr@nmbmicrofinance.com or our head office Pokhara, Ward No. 25, Hemja within 15 days of this vacancy announcement.